How to take vitamins "Undevit"
"Undevit a time — tested, inexpensive multivitamin complex. It is designed specifically for the elderly and contains in its composition of organic substances needed for improving metabolism. 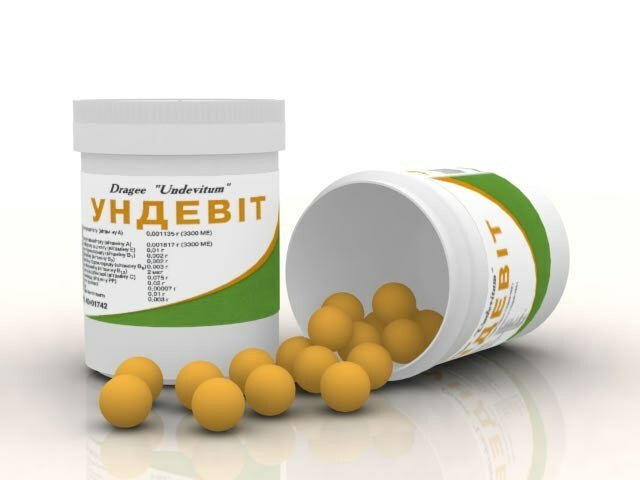 "Undevit" is assigned to improve metabolism and overall well-being mainly elderly people. Thanks to the balanced composition, it helps to cope with the manifestations of hypovitaminosis, to recover from antibiotic treatment and to facilitate the course of chronic diseases. In addition, the "Undevit" allows you to shorten the recovery period after injuries and operations. Twice a year, in fall and spring, pass preventive treatment. Take daily one pills "Undevit". Drink a drug in the same pattern in the presence of chronic diseases in remission before surgery, subject to medical diet, which made it impossible to provide the adequate amount of vitamins in the body. At exacerbation of chronic diseases, the emergence of obvious signs of deficiency, deterioration of health, for unknown reasons, increase the dosage "Undevitand" up to two-three pills a day. The use of the drug in divided doses more effective than one-time admission daily dose. Take "Undevit" after a meal. In order for treatment to be effective, not chew and do not take pills. Dissolve it in 3-5 minutes. A prophylactic course lasts 3-4 weeks. The duration of treatment depends on the severity of the condition, the severity of hypovitaminosis, prescription. "Undevit" approved for use in adolescence. In this case, the drug is used according to the above table at the same dosage. During pregnancy, the drug is undesirable because of the presence in the composition of a large dose of vitamin A. Take this medicine with caution in the presence of diseases of the gastrointestinal tract and the liver. In case of Allergy, immediately stop therapy.